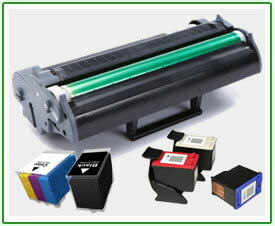 We use over 300 million inkjet cartridges and over 10 million printer toner cartridges a year just in Europe alone. It is estimated only 15% of these end up recycled. That means throughout the world millions of tonnes of non-biodegradable plastic has been put to landfill along with the surplus toner and ink they hold. It takes over 3 litres of oil to manufacture a single toner cartridge and over 1000 years for them to start to decompose so you can imagine the impact this is having on not just our landfill sites but the environment all over the world. In one year if a population of approximately 60 million people were to use ink cartridge recycling instead of landfill this would save an astonishing 9 million litres of oil going into landfill. We all know that every industry creates its own waste but we all know that every industry can recycle this waste. Return a Toner ink cartridge recycling and disposal services include: recycling HP Hewlett Packard printer toner cartridge, Lexmark printer toner cartridge, Brother printer toner cartridge, Samsung printer toner cartridge, Canon printer toner cartridge, Dell printer toner cartridge. At Return a Toner we recycle everything. So any ink cartridges that do not have a market value are NOT disposed of according to E.A regulations (landfill) they are simply broken down and recycled. We are one of very few waste collection companies that can provide this full cartridge recycling service. If you require our FREE ink cartridge recycling services for your empty printer ink cartridges, please click here to Book a Free Collection. Alternatively you can call us on 01908 635330 and we will happily assist you.